Seagrass’s SeaLipro® is an organic powder extract of Green Micro Algae Chlorella Vulgaris. Not only has chlorella been around for three billion years, reproducing successfully as a single-celled organism, but this green alga has been used as a nutritional supplement since World War I.
Seagrass’s Organic Chlorella is a super food comprising of complex carbohydrates, essential amino acids and fatty acids, bioavailable vitamins and minerals, antioxidant pigments and the unique nucleotide. Vegan – No animal inputs used in cultivation. Safety grading (Pathogen Free, Toxins Free, Free from PAH, PCBS, Dioxins, and Allergen Free). Protects the body against infections and diseases. Helps detoxify the body due to its unique cell wall. May Help Improve Cholesterol and Blood sugar levels. May Help Manage Respiratory Diseases. Cultivated using a sustainable eco friendly technology. Provide excellent nutrition content with highest quality. 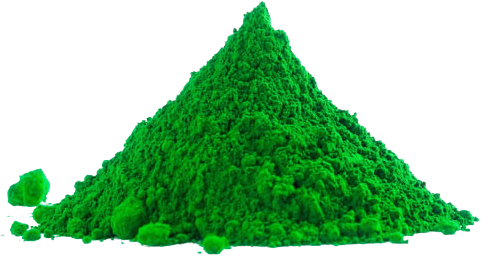 Richest CGF (Chlorella growth factor) due to our unique outdoor culturing and cultivation. Broken cell wall to enhance the digestibility and bioavailability.